SPECIALLY DESIGNED BOX & FREE SONGBOOK FOR INTERACTIVE LEARNING: The 'Xylo-Fun' comes packaged in a specially designed box so is the perfect gift or present. 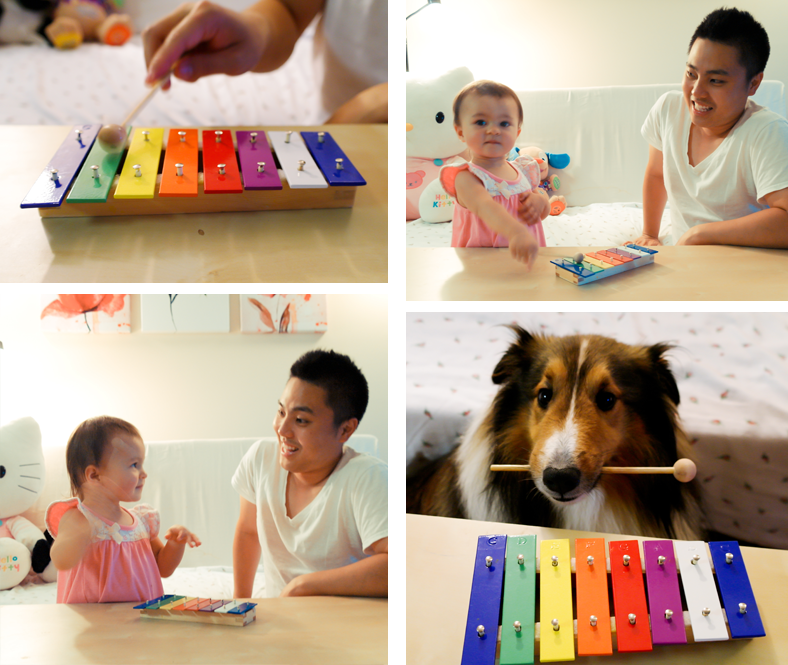 The songbook contains classic nursery rhythms that are colour coded with the notes for easy learning. Even the adults will have fun learning these classic songs! This is a really cool toy for your little one! My daughter's eyes lit up when she first saw the xylophone. It's colorful and very well-made. The base is made of sturdy and durable wood. There are seven metal notes (A-G), each one is different color. They're all vivid and bright, and they produce clear and pleasant tones. The toy comes with a little booklet filled with simple tunes for your child to play. 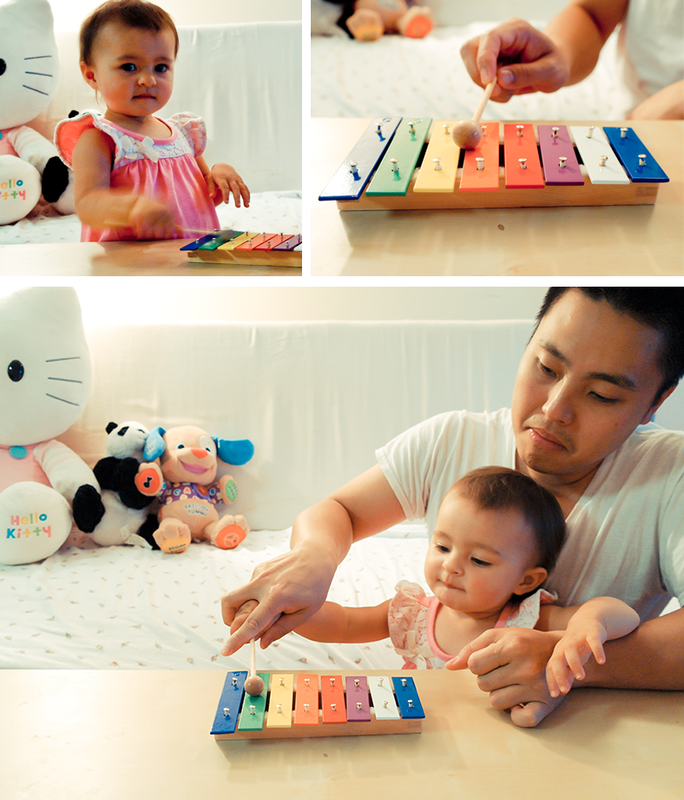 This is a a great touch and I think when my daughter is older, she'll have fun learning how to play the songs. 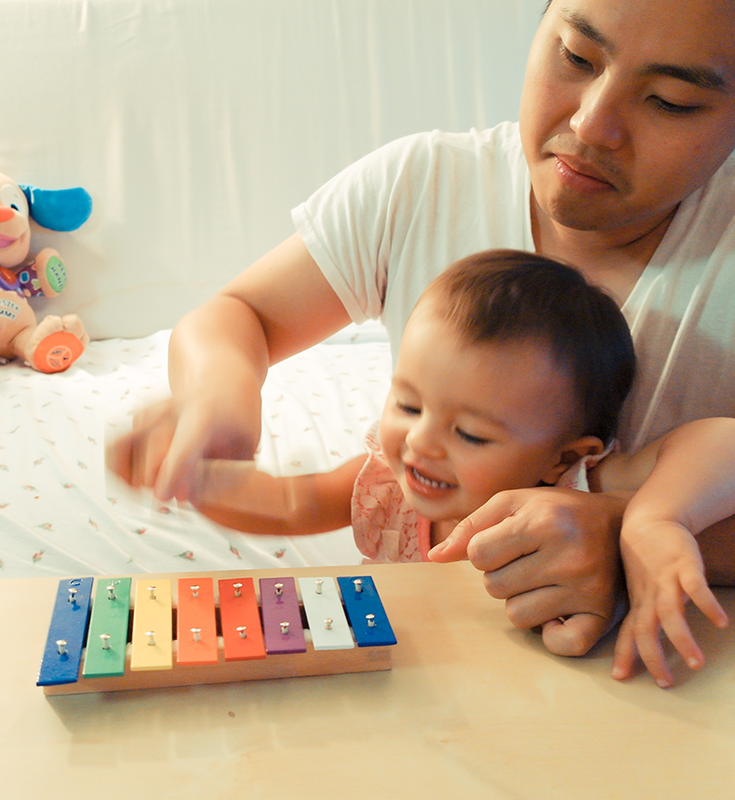 At this point (she's only 18 months old), she can only struck the notes randomly, but I have noticed a big improvement between now and when she first started to play with it. The more she plays, the better her eye to hand coordination gets. She already figured out that running the wooden mallet across the notes will produce a beautiful sound. Plus, she looks extremely pleased with herself when she manages to struck the keys just right and make a louder sound. 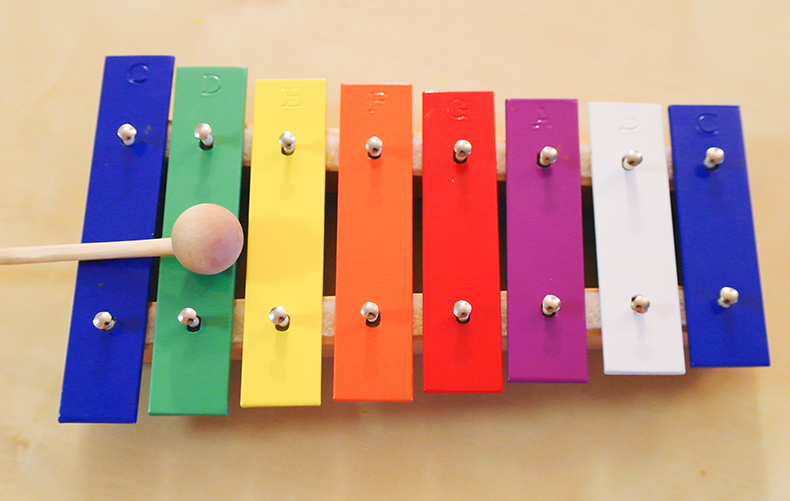 This xylophone is both fun and educational. It's perfectly safe to play with and captures my daughter's attention for hours. It's so much better for her than watching TV or playing a piano app on my iPad, I am thrilled she loves it so much! Disclaimer: I received a FREE sample of the product in exchange for my honest opinion. All thoughts are my own.